As a business owner, you will want to grow your business to indefinite heights, right? 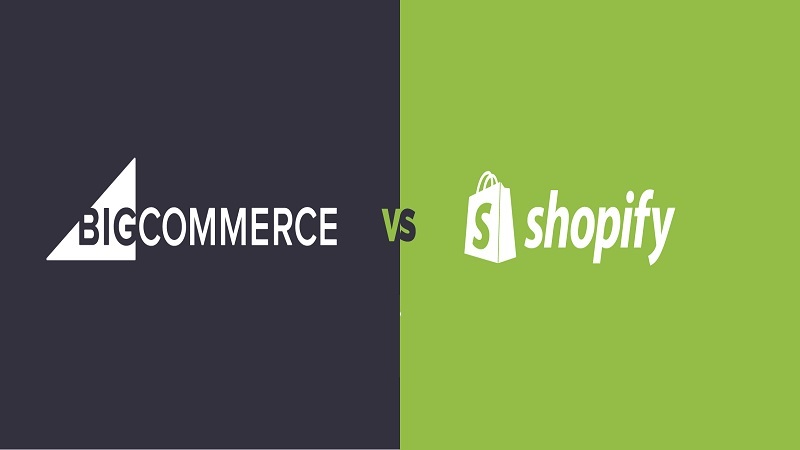 Go through the Below differences between Bigcommerce Vs Shopify and choose wisely for your business success. In this review, we will be doing a comparison between BigCommerce & Shopify. Nevertheless, both the websites are great but an enhanced review will make picture quite clearer for you all. So, let’s get started and unfold each difference one by one so that you can have a better understanding of both the platforms. But, before doing that let us just take a quick look and elaborate a bit on both Bigcommerce Vs Shopify. Well, want to build your own shopping website? BigCommerce can be that sole option for you. It boasts of a complete solution in building your ecommerce website right from the scratch. Further, you can manage your website as per your demands and needs. In terms of the add-ons, it gives you an enhanced accessibility to a number of great tools. Such tools can make your website much more improved and flawless. As a part of their pride, they have a great 99.99% uptime which is magnificent on its own. For those who deal in blog posts, BigCommerce has it for those folks too. With BigCommerce, you can manage your blog pages, alter it and suit it as per the needs. Talking about the great leaders in the e-commerce reign will surely bring Shopify straight into the limelight. It is a power-packed tool which helps in building an e-commerce store. In case you don’t have any coding skills? Still, Shopify is an absolute boon for you. With Shopify, there is no need for any coding skills whatsoever. Hence, everything can be done with great ease and comfort. In terms of feasibility, none of the brands can beat Shopify. It has got a sleek and an easy-using interface which any user can understand comfortably. For payments, their POS system is inevitably the best one you can get for payments. Overall, Shopify gives you that edge of freedom which you can use and make your website a complete blockbuster. So, now, I hope you have known some detailing about BigCommerce as well as Shopify. Now, for those who are much keener to know the differences, we have got a long tail list of those too. We have explained in a much deeper manner which can be understood by each and every individual. So, let’s begin. Let’s face it. 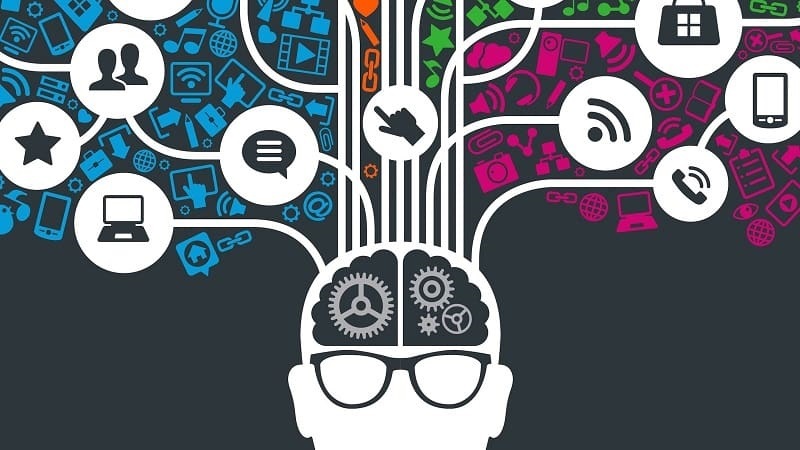 Themes and designs do matter in building an e-commerce website. The more attractive your themes/designs are, better the number of customers you will attract mob. In terms of the theme update, none of the brands can beat Shopify. They look quite professional and inviting. As a team, they use independent designers which are capable enough of creating some fantastic themes for their clients. The only drawback about their themes is that some themes are paid. If you want to use some sort of premium theme, you will have to buy it, that’s one sort of an issue. In search of some decent themes? Bigcommerce has it all for you. Here, you can find some pretty decent themes which make your website look charming and good all at the same time. But, here, the drawback is that the majority of the themes are outdated. Hence, you will have to hire BigCommerce Designer which will create a custom theme for you. Having a great set of e-commerce tools is the best thing which any website owner dreams of having. In this case, Shopify, as well as E-commerce, doesn’t disappoint you in such scenario. However, there is some sort of difference which is explained below. 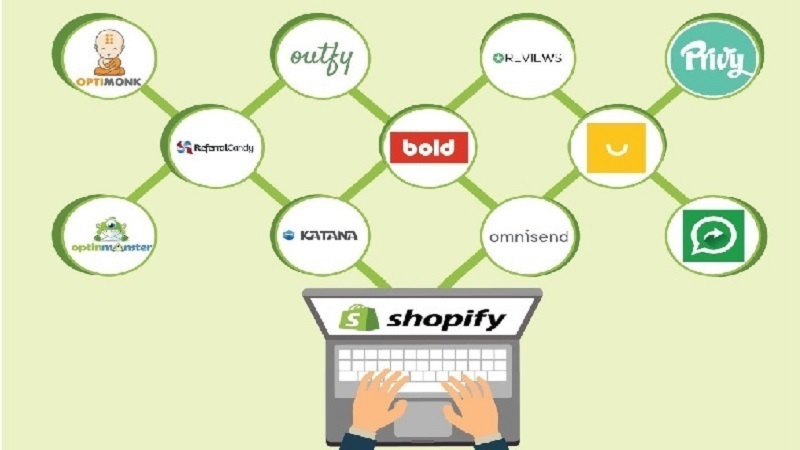 Shopify does provide you with every necessary tool required to build and manage your e-commerce website. 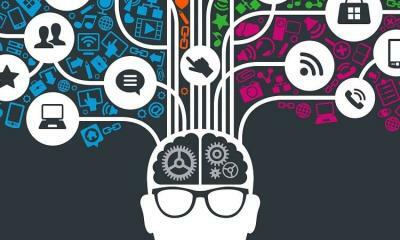 For advanced users, they offer tools such as customer wish list, product reviews, and product recommendations. For advanced tools, you will have to pay for them if you are in need of using them. In needs of the most comprehensive tools? Bigcommerce has it all for you. They are among the leading e-commerce builders and are thriving hard for the same. They do provide some enhanced tools which help in making any e-commerce website much improved and efficient. Pricing is inevitably the most asked questions among any user who wants to build an E-commerce website. So, let’s go ahead and unwrap the pricing of these two e-commerce building giants. Now, after analyzing the above scenario, you can first start using the Lite version of Shopify which is pretty cheap. At last, the sole choice will depend on your workability whether you want to go with Shopify or BigCommerce. Now, this criterion is the one which every consumer looks at before going to any e-commerce building website. If you are facing any website issue, it is the customer support which should remain active in such case. Hence, let’s go ahead and visualize what the two e-commerce building giants have in this block. Dreaming of one of the best customer support? Shopify can be the best choice for you. They have reachability, which works 24x7 and can be done via email, call or even live chat. They have got an excellent commitment capability which never fails to serve their customers. At the very last moment when you have got your website not working, Shopify can be a boon to you in such case. Here, in this case, BigCommerce too doesn’t fail at any cost. They too offer some fantastic options such as live chat, email & phone support. In the earlier days, they were not offering 24x7 customer support but as of now, they have up their game. Now, both of these services offers an excellent customer support functionality. Hence, in this differentiation, both of them are clearly winners. In this criterion, both Shopify and BigCommerce offer experts to help you grow your business to extraordinary heights. However, these experts are independent persons and you can hire them to grow your business to the next level. If you talk about numbers, Shopify has beaten it all. It has got over 780 vastly experienced experts which are available for you at any time. In terms of the geographical schedule, experts are available at your nearest areas too. Further, Shopify allows you to use an expert and build your e-commerce website right from the scratch. The setup price starts from $500 which focuses solely on the quality of your website. As compared to Shopify, Bigcommerce surely lacks in this differentiation. They have got fewer experts but they are talented enough to do any kind of your work. For add-ons, if you want to go for some additional services, the experts can quote their prices on the given work. In the least scenario, the BigCommerce Experts can help you in modifying the website or themes as per your wish. Once your business will start flourishing, you will need an app which can manage all story our activities flawlessly. Hence, in such case, both the Shopify and Bigcommerce have their own app to help you extend your functionality. With Apps, you can manage your E-commerce website while on the go. Also, these Apps can work on every other day to day task and can help in its completion scenario. 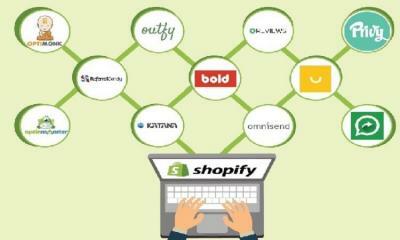 At the very present, Shopify has got an enormous list of apps which can help you. They have got a whopping number of 1400 apps which are surely outstanding. Thus, with such a humongous size of your tool list, you can manage your website much more easily and efficiently. Now, in terms of the Bigcommerce, they certainly lack in this criteria. They have got just 250 Apps which shows their story altogether. However, these 250 Apps work much perfectly and don’t pose any sort of an issue. Overall, a large pool of apps will help any creator to make their e-commerce platform much more mature and pleasing. Hence, here Shopify is clearly the winner with over 1400 apps in their armory. One important consideration in choosing Bigcommerce or Shopify comes down to this essential point- Credibility of Builder. To be honest, both the brands have got solid reputations and we view them as the top 2 builders of the world. So, how you will know which one is the best in this case? Go ahead read the information and check it out yourself. Still, not much great difference. The above scenario speaks for itself. Higher the number of paying customers, the higher is the satisfaction rate. Hence, Shopify has got more payable customers which make them the best in such case. Also, on the basis of Google Trends, Shopify is trending much faster than Google in this case. In fact, the popularity trend of Bigcommerce has not grown since the year 2014 which is surely not a great sign. Both BigCommerce and Shopify provides you an exclusive set of payment gateways which is surely a great thing. Normally speaking, using a third party gateway is an absolute killer for the users in any case. Some Major Payment options for Shopify includes Worldpay, Quickbooks, 2Checkout, Paypal etc. All of these payment gateways are much secured and does the work with an absolute perfection. Bigcommerce has done some sort of a transformation in their payment gateway. They have got Paypal which is powered by the Braintree. With such an enhanced collaboration, some sort of preferential Paypal is given. Unarguably, both the E-commerce building giants excel in this criteria with payment gateways worth using. Yes, the product option is that one feature every website owner craves for. Having such a boon functionality eases down the work with much ease and comfort. So, let us go ahead and see what these two giants have got in their bags for us. In terms of Shopify, you may face some sort of limit ability criteria. Here, you can offer only 3 set of options to the customers, i.e. per product. For example, on one basis, you can provide an option category of size, material, and color. Being said that, it is much easier to set-up these options. But it can be frustrating if you want to sell the products which have comes in 3variants surplus. On the other hand, BigCommerce helps you in building a larger list of product options. Here, you can create a whopping list of 10 options far more easily. Regardless of your product variations, you can choose Bigcommerce here as your true savior. So, clearly, here, the winner is BigCommerce with its magnificent product option feature. Here, both the Bigcommerce as well as Shopify allows you in uploading the CSV File which does contain your product data. If you choose Shopify, your data will be exported in the CSV Format, whereas, none of the other formats are applicable in this case. In the case of exporting data, Bigcommerce offers you a lot more functionality. Here you can export your data in CSV as well as in the XML format. Hence, here, a slight win for BigCommerce with that extra pinch of an add-on feature available in their bag. At the end of such an effective comparison, price points of Bigcommerce Vs Shopify are not much different except the higher plans that boast of many different criteria altogether. Considering the other factors, while Shopify is dominating in few points, BigCommerce also has its list of advantages to giving to the world. Hence, one cannot just surpass the other. As a business owner, you will want to grow your business to indefinite heights, right? Hence, go through the above differences, choose the one based on value and sooner or later, success awaits you! Neha Shah from customer success team at mlveda. A girl with a thousand of dreams, Everyday work for improving myself, aiming to share the best knowledge on Quora about Dropshipping. Chai Lover ☕☕ & Dropshipping Enthusiastic!